UPRIGHT enables and assists Parkinson patients in improving their daily mobility. 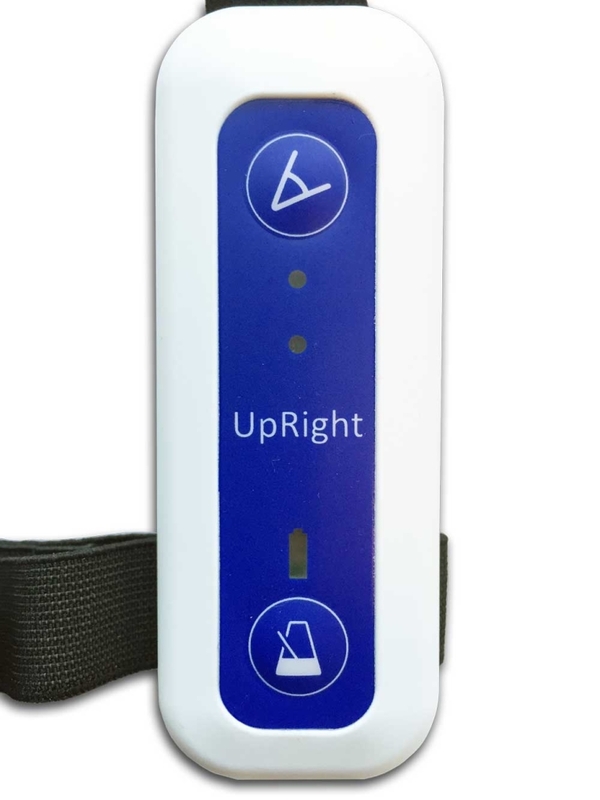 UPRIGHT corrects posture by alerting Parkinson patients when their posture deviates excessively from an upright position. Different warning angles can be set by care givers for forwards and sideways posture. The UPRIGHT also improves mobility and reduces freezes using cueing signals (metronome or rhythmic vibration). The cueing frequency (in beats per minute) can be adjusted to the needs of each individual patient. The benefit of such cueing signals has been medically validated by the VU University Medical Center in Amsterdam. Improve Gait Related Mobility & overall body posture. Rhythmic cueing helps prevent or decrease freezing. Easy 2 button operation. Setup by expert via PC application.